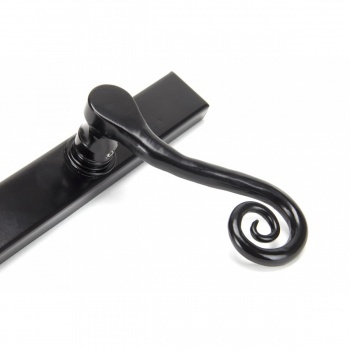 A ‘Slim’ espagnolette version of the traditional 'Monkeytail' handle, which is designed with an extra long backplate to be used with all multi point locks. 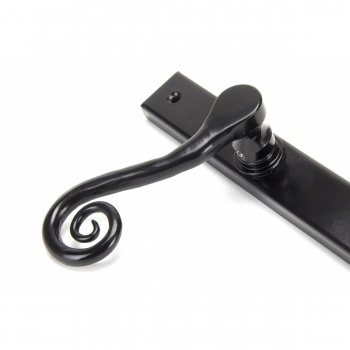 These handles are very secure as they are bolt fixed from the inside of the door and have no visible fixings on the exterior. The slimline handle is ‘handed’ so care must be taken to choose the correct hand. When referring to handed we are looking from the outside of your door and choosing which hand you use to open the door rather than what side of the door the handle sits. 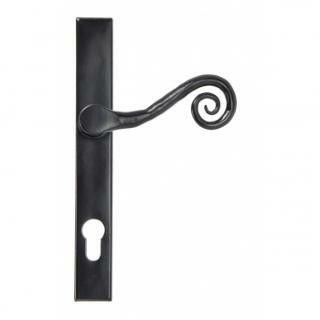 For example, if the handle is on the left side of the door (as you look at it from the exterior of your property) you would instinctively use your right hand to open it, therefore you need to choose this RH handle. 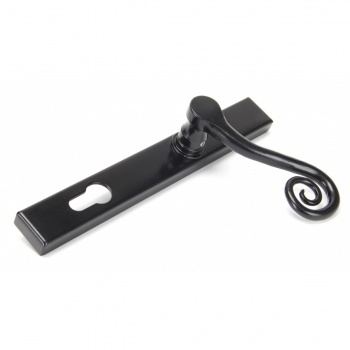 It also has a unique double spring incorporated into the handle which will always return it back to 90 degrees but also allows the upward locking motion. 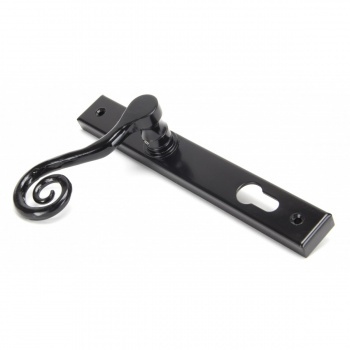 Use in conjunction with multi-point locks - For more information see our guide to locks & latches.